Hello friends, I hope you are having a nice week. I have a few beauty products that I'm enjoying right now, and I'd love to share them with you. I happen to have very fine and thin hair. In order for my hair to stay in place, and not have the fly aways, I use hairspray everyday. I've tried many different brands over the years and I really like this spray. 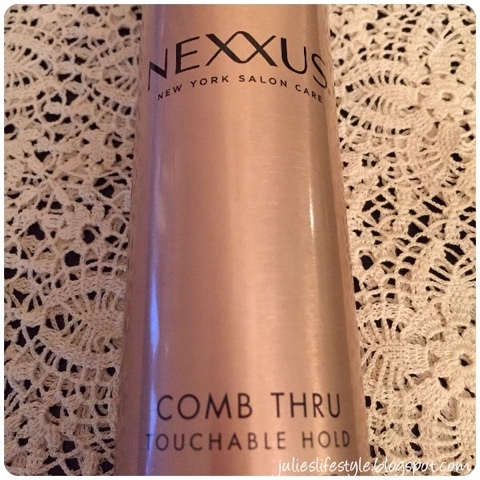 It is has a light weight formula that holds, but doesn't leave your hair sticky or stiff. What I like about this hairspray, is that you are able to brush out your hair at the end of the day. I found this spray one day when I was shopping at a Wholesale Club and decided to give it a try. It was reasonably priced, and it should be available at most drug stores. It's also available at Ulta Beauty for $13.99. 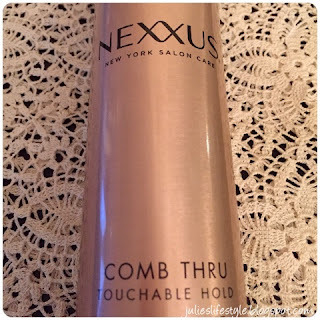 If you like using hairspray, then I would recommend you try this product. I received this lip balm for Christmas and I enjoy using this to hydrate my lips. My lips get really dried out in the winter and I must use a lip balm during the day and night. What I like is that it also has a light grape flavor. These are available in fun shapes and colors, and they each have a different flavor. This lip balm is available in most drug stores and costs $2.99. 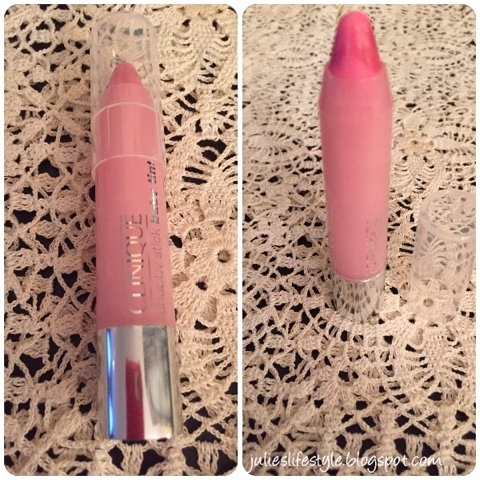 I also received this chubby stick for Christmas and I like using this with a light colored lip liner during the day. This is a lip balm that is tinted with a bit of color. I love how this product also moisturizes my lips. I like getting two products in one. You can also wear this chub stick without lipliner and have just a glossy look. This lip balm is available at Sephora, Macy's, Amazon, and in the makeup area of most department stores. The price for this lip balm is $17. I would recommend this if your don't like wearing a heavy lipstick during the day. Have you tried any of these beauty products? Do you have any favorites that you like using now? I'd love to know. I love those chubby sticks! They're so cute and always come in a beautiful array of shades. 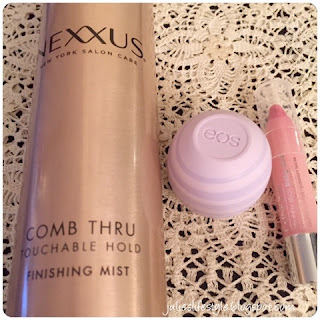 I have wanted to try the EOS lip balm. I use lots of lip balm in the winter as well. 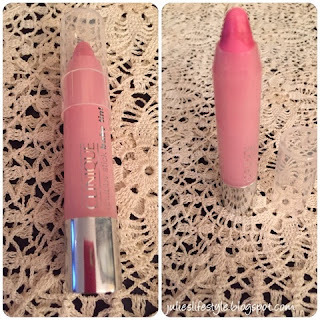 I have been eyeing that stick at Clinique for a while now...maybe I should try it! Some great purchases to think about! Thanks for sharing on #overthemoon. These are nice recommendations, Julie - I think I would love the Clinique Chubby Stick! EOS is great - I got a couple different ones in my stocking too! I gotta try that hairspray because I hate it when it makes my hair stiff and hard to brush. I have a chubby lipstick, but it's by Rimmel. I really like them. I've tried the chubby sticks and I use eos lip balm every night. My favorite lip gloss with color are the Cover Girl ones, which I use during the day. I'd like to try the Nexxus hair spray. Thanks for your recommendations, Julie! Thanks for the product update! And for sharing with the Thursday Blog Hop! Haven't tried any...I don't usually use hairspray but the other two I may have to try! I love those Clinique chubby sticks. I don't use hairspray and to keep my lips moisturized I use argan oil. Thank you for having a beauty favorites series. It is one of my favorites things to share. Have a great week. Hope your keeping warm. I like these lip-balms!! I need to see if we have this product here. I have not heard of or tried any of these! I too need lip balm all day and at night so I will have to give these a try. Thanks for sharing them with us! Great suggestions, thank you for sharing over at The Really Crafty Link Party! 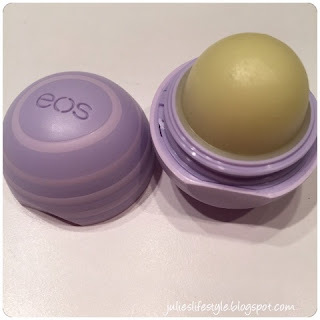 I have never tried the eos lip balm but the colors and packaging always had me wondering! I love the Chubby Sticks, too. But... if you just want a hint of color and need to keep your lips moist this winter try Blistex Vibrance. I bought a pkg of 2 for under $5! I like EOS lip balms and the Clinique Chubby sticks.I haven't used the Finishing Mist. I use all of these and yes, they are great! I like the eos lip balms too. My favorite is the grapefruit, but I can't seem to find it. I'll look for the blackberry. I apply lip balm several times a day, especially in the winter so I have them all over the house! And I have very fine hair, too, and use hairspray. I'll have to give that one a try. Thanks Julie. I'm definitely going to have to check out your other reviews! I just got one of these chubby lip glosses. I wasn't sure how I'd like it, but it surprised me. I always love reading about products people love - it's the best way to discover new things! Thank you for sharing your favourites, Julie. I haven't tried the hairspray or the lip balm but I love those Clinique Chubby Sticks. They are such fun to use! Thank you for being a part of our Hearth and Soul Hop. I have not tried any of those, but that Chubby Stick looks like such a pretty color! Stopping by from Friendship Friday. Hope you have a great weekend!